We offer a variety of services from routine service calls and repairs to preventative maintenance to keep your system running at peak efficiency. Whether you require emergency service for a system breakdown, a whole-home indoor air quality inspection, or other type of service, you can count on us to respond quickly to your needs. Our knowledgeable and extensively trained staff can assess your needs and will provide you with all the information you require to make an informed decision before beginning any work. Contact us today to ask us about our money-saving service agreements that can prevent costly breakdowns and keep your HVAC (Heating, Ventilating, and Air Conditioning) system and accessories running at peak performance for years to come. 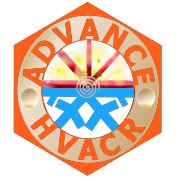 Copyright 2013 Advance HVACR, Inc.